This post is written by member Steven Alvarez. This is the second of two parts. You can read the first part here. The most important point I argue for in Community Literacies en Confianza regards the importance of K–12 English language arts teachers to expand their knowledge of the literacy practices of English-language-learning students by engaging with their students’ communities, learning from their expertise with the trust of confianza. Confianza in English translates literally as “confidence,” but in practice confianza means reciprocating a relationship where individuals feel cared for. Confianza is an ongoing intentional process centered on local communities which involves exchanging mutual respect, critical reflection, caring, and group participation. Confianza is dialogical trust of acceptance and confirmation between adult mentors and emergent bilingual students, and it has extraordinarily positive impacts on academic attitudes of youths, especially in language-minoritized communities (Barrett and García). In the book, I expand on this notion of confianza and learning about students and their communities, as well as how a stance open to students’ complete linguistic repertoires, in turn, impacts the students’ and their families’ literacies and their networks of bilingual support. This video from VBL was filmed during the awards ceremony for a “best essay” competition about the importance of the library for the community. The man speaking donated the bike for the winner. He and I both read the essays composed by children at the library, in Spanish and English. When educators become participants in bilingual communities, they partake in a form of community membership, demonstrating a kind of role modeling that will both engage emergent bilingual youth and build confianza in dialogue with communities. Dialogue, in addition to sharing stories and common hardships, fosters relationships through sustained confianza between community after-school programs and educators (Barrett and García; Martínez et al.). Ultimately, confianza is feeling and knowing one is cared for. Angela Valenzuela argues that the “cared-for individual responds by demonstrating a willingness to reveal her/his essential self, the reciprocal relation” (21). These qualities truly create not only a sense of validation and support en confianza, but also a sense of trust, resulting in open dialogues about schools and the community. Not surprisingly, establishing confianza takes time, but is vital for opening channels for collaboration with community literacy research and after-school programs, especially those engaging with emergent bilingual students. Why is this notion of confianza so vital for working with emergent bilingual students and their families? For Latin American and Latino/a students, research shows us the importance of confianza for bilingual families, suggesting that sustained, dedicated commitment between non-familial adults and youth has positive impacts on the academic outcomes of children and adolescents in immigrant families (Louie; Smith). As collaborators connecting students, parents, and educators, the two after-school communities believed in emergent bilingual students achieving higher educational goals with mentored, bicultural, and bilingual supports. These community partners have inspired confianza through transformative visions for education and by building alliances among partners and activists. 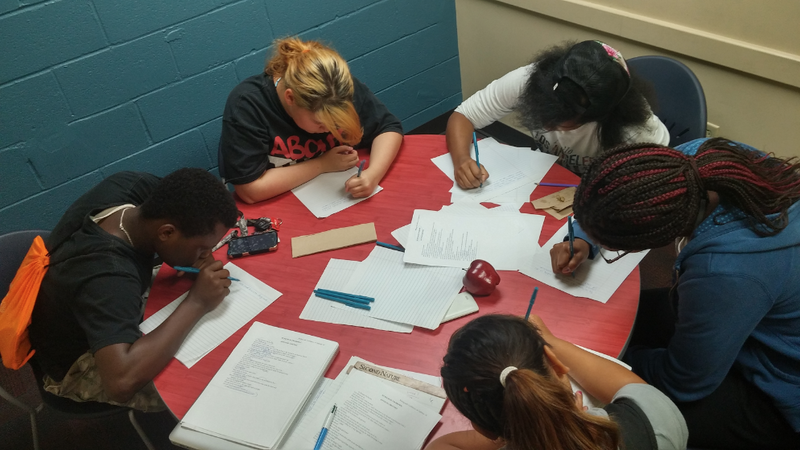 VBL students during a writing workshop exploring food and poetry. Barrett, Leslie, and Ofelia García. Additive Schooling in Subtractive Times: Bilingual Education and Dominican Youth in the Heights. Vanderbilt UP, 2011. Louie, Vivian. Keeping the Immigrant Bargain: The Costs and Rewards of Success in America. Russell Sage Foundation, 2012. Martínez, Ramón A., et al. “Unpacking the Ideologies of Linguistic Purism: How Dual Language Teachers Make Sense of Everyday Translanguaging.” International Multilingual Research Journal, vol. 9, no. 1, 2015, pp. 26-42. Smith, Robert Courtney. Mexican New York: Transnational Lives of New Immigrants. U of California P, 2006. Valenzuela, Angela. Subtractive Schooling: U.S.-Mexican Youth and the Politics of Caring. State U of New York P, 1999. Steven Alvarez is assistant professor of Writing, Rhetoric, and Digital Studies at the University of Kentucky. His research explores the languages and literacies of Latino immigrants in New York City and Kentucky. To read more of Steven Alvarez’s works, please visit Translanguaging Literacies and Community Ethnographies. 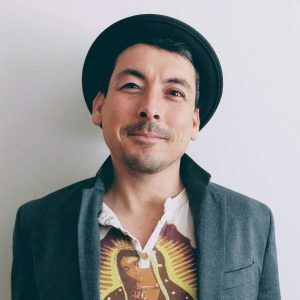 Steven Alvarez recorded Confidence in Community Literacies: Bilingual Writers Reading the World, an On Demand Webinar for NCTE.